Thanks to Apple's AirPods, wireless earbuds are fast becoming one of the hottest mobile accessories on the market—but they're not cheap. At least not usually. 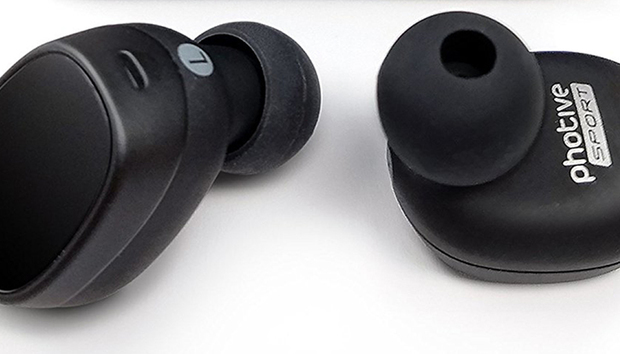 If you're itching to try out a pair but don't have $159 to blow, Amazon is selling the Photive TWS-01 Bluetooth-enabled wireless earbuds, which come with their own charging case, for just $33, or about 40 percent off their average selling price. That's especially low when you consider how expensive most true wireless earbuds can be. Our top-rated picks fall anywhere from $100 to more than $300, though many of those have features that you won't get with the Photive TWS-01, such as noise cancellation and AI voice control. While their Amazon rating of 3.6 out of 5 stars isn’t stellar, these buds will still give you a cheap taste of what all the buzz is about. The biggest complaint among reviewers was with pairing, so your mileage may vary, but for the most part people were pleased with the performance and value. When it comes to wireless earbuds, in fact, low user ratings for even the best products are fairly common—our top-rated workout buds, the Bose SoundSport Free, for example, also have an Amazon user rating of 3.5 out of 5. So for $33, the Photive TWS-01 earbuds are certainly worth a listen. And then, if you want to try the very best money can buy, check out our roundup of our favorite higher-priced true wireless earbuds.